Episode #1 of the new History channel documentary series The Hunt for the Zodiac Killer featured a unique look into the mystery surrounding the still-unsolved murder of Riverside City College student Cheri Jo Bates in October 1966. Retired Riverside police detective Steve Shumway accompanied a film crew to the scene of the crime, now part of the concrete structure on the campus of Riverside City College. The production was granted unprecedented access to the boxes of evidence stored at the Riverside Police Department during a tour with Detective Jim Simons. Viewers got a rare look at a previously-unreleased photo of the boot print left at the crime scene and a plaster cast of the print. Shown together for the first time: the three handwritten letters sent to the Riverside police department, the Riverside Press-Enterprise, and Cheri Jo’s father Joseph Bates. 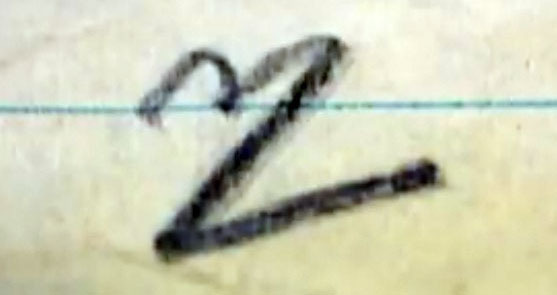 A close up on the small symbol included as a signature. Preparing for forensic testing on the pants of victim Cheri Jo Bates. The production was also granted access to the files of Vallejo Times-Herald reporter David Peterson courtesy of Peterson’s nephew. Peterson’s files also included his notes about Ross Sullivan, a possible suspect in the Bates murder who worked at the RCC library and had an interest in cryptography. 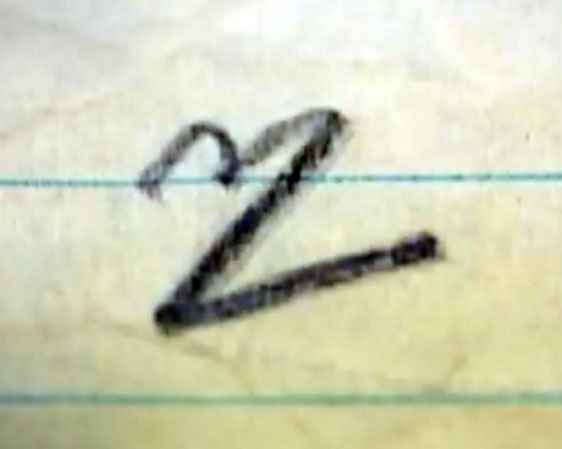 Episode #2 of The Hunt for the Zodiac Killer airs on the History channel Tues. November 21.